Morning at 08:00 Am Pick up from Indore Airport and transfer to Ujjain. 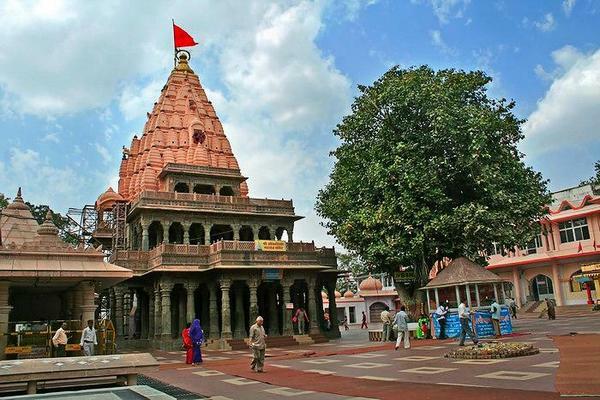 On arrival Check in at hotel after freshen- Up visit local sightseeing of Ujjain like Kalbhairav, Chintaman ganesh, Mahaklaeshwar and other local sightseeing of Ujjain. Overnight in Ujjain. Early Morning take Bhasm aarti (at own) after that come to hotel have breakfast and visit local temples and ghat like ram ghat. Overnight in Ujjain. Morning after breakfast check out from the Ujjain hotel and transfer to Indore by surface approx 60 Kms /01 hrs on arrival Check in at Indore hotel after freshen -up visit local sightseeing of Indore like Khajrana temple , Laal Baagh, Annpurna, Bada Ganpati, Vidhya Dham, Sai Mandir .Overnight in hotel. Morning after breakfast check out from hotel.For further Journey. Accommodation in above mentioned or similar hotels on DBL Occupancy.